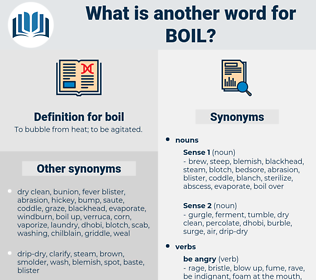 What is another word for boil? 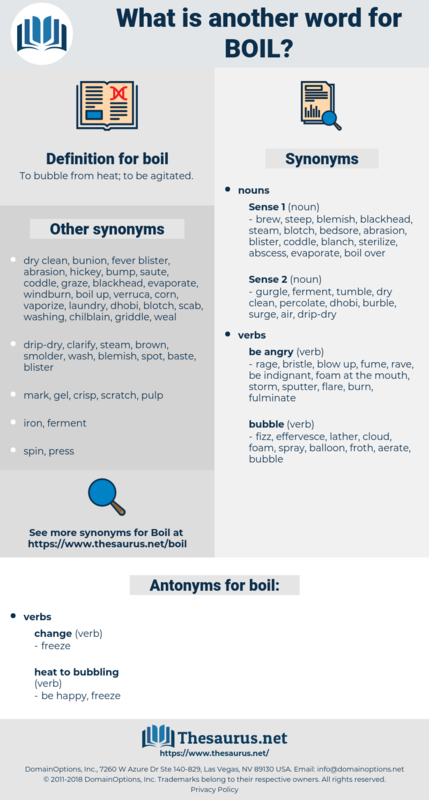 To bubble from heat; to be agitated. I'll tell you what, cried Fenton, if you don't come, the water will all boil away. He'll be sore as a boil. simmer, boil over, overboil, decoct. change state, change, alter, turn, modify.